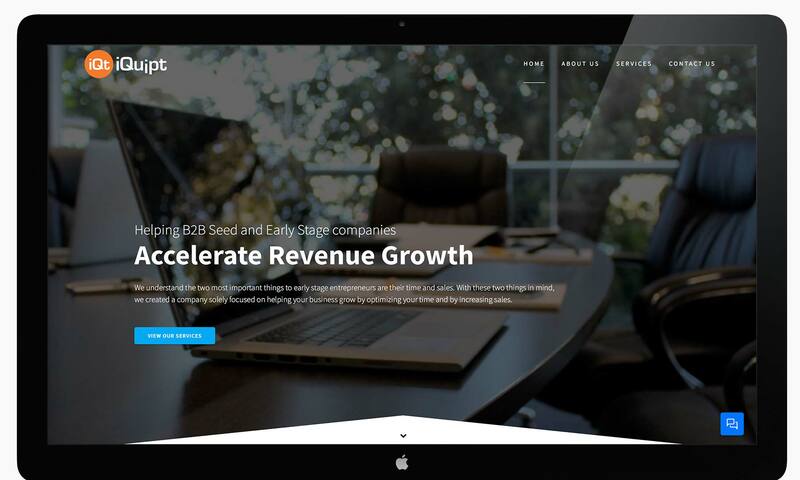 iQuipt Website Development | Sales and Marketing Inc.
iQuipt became our first partner once we decided to become fully incorporated. iQuipt's current mission is to offer revolutionary products to start-up businesses across the United States. 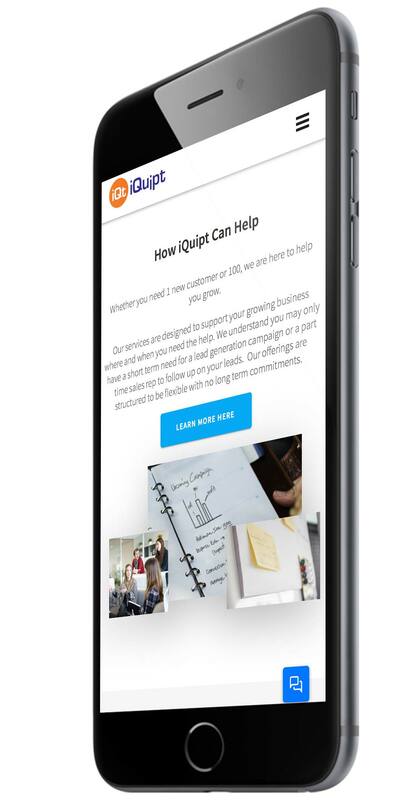 Our team here at Sales and Marketing Inc. was asked to help iQuipt design and develop a new website experience to showcase all of iQuipt's new messaging and imagery. The project, from start to finish, was completed in two weeks. Design new page structures, sitemap, and placement of new content and imagery. Website development needed to be responsive, SEO focused, and mobile optimized, with an easy sign up form for new customers. The team at iQuipt had spent months developing their new messaging and customer focus. However, they wanted a website that was clean, simple, easy to navigate, and easy to maintain so they could adjust the content without needing a developer. Developing the website using their current website platform, which allows them to easily maintain their website with a system they are familiar with. Designing each web page before development. This allowed the iQuipt team to approve every detail before development. Maximizing page speed, mobile optimization, and overall page structure to increase search effectiveness. All of our website projects are designed to maximize the user experience and accomplish the goals of our clients. This includes building the website using a responsive system to display correctly on any size device. Additionally, all of the content on the website was chosen carefully to speak directly to our client's chosen target market.